Power Up, 1965. Corita Kent. Me must be turned upside down to become we, 1972. Corita Kent. I love when I "discover" (more like finally learn about) artists from the POP ART movement. While visiting PAM for the Warhol print exhibition- which was absolutely refreshing to experience. Finally, a Warhol exhibit that shows the arc and development of the artist. For those that are not familiar with Warhol, this collection of prints showed how he developed and matured into the POP ART icon that we know. His Shadow prints were a favorite highlight among the exhibition due to how magnetic, yet subtle they are compared to the more commercial/popular prints. 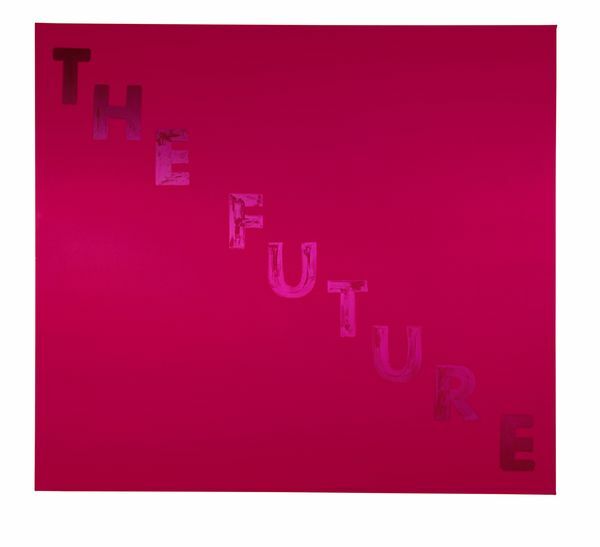 Additionally, I was blown away by another exhibition featuring an artist from the same POP movement: Corita Kent. The curation for this smaller exhibit was fantastic even though it was in what I like to call the "basement" of the museum. Thankfully, PAM is getting a new design, which will hopefully correct the maze of disjointed gallery spaces. Personally, Kent's 'Power Up, 1965' and 'Me must be turned upside down to become we, 1972' with text quoted from D.H. Lawerence were my favorites. Not only for what they communicate, but the COLOR. The color works to give additional depth to the weight of what Kent is communicating through text. This exhibition couldn't come at a better time in regards to our current political and social climates. Kent's innovative and beautifully depicted calls for social justice, peace, kindness and hope are just as needed today as they were 30+ years ago. I serve on the board of the Oregon chapter of DoCoMoMo_US. Could not be more excited to share our ongoing efforts to document the modern resources (buildings only currently) of Oregon. Bit of background on DoCoMoMo_Oregon: A non-profit dedicated to promoting the interest, education, and advocacy of the architecture, art, landscape, and urban design of the Modern Movement. We offer interactive programs including, walking-tours of our states modern movement buildings, sites, and neighborhoods, as well as educational lectures led by nationally recognized architectural historians, architects, and preservationists. And here is our on-going inventory you can help us shape: Inventory of Modern Buildings. A few of my favorites are highlighted above. Looking at efforts to repair and utilize some of Portland’s recent past architectural resources. DoCoMoMo_Oregon, a local chapter of DoCoMoMo_US, is a non-profit organization dedicated to promoting the interest, education, and advocacy of the architecture, art, landscape, and urban design of the Modern Movement. Recently the Board voiced concerns for the type of alterations proposed for the late modern (post modern!) PacWest Center designed by Hugh Stubbins & Associates / Skidmore, Owings & Merrill, which underwent a Design Advice. John Russell, the original developer of the project who chose Hugh Stubbins as the architect, from a shortlist that included Philip Johnson and Minoru Yamasaki, provided testimony that agreed with the design team that the retail in the building isn’t currently working, but that the building’s design isn’t the major contributor. Overall, the Design Commission encouraged the design team to treat the PacWest Center like a historic building, and use the Secretary of the Interior’s Standards as an approach for the renovation. And on a smaller scale that truly connects to placemaking, the Lovejoy Fountain Pavilion designed by Charles Moore in 1962 as part of Lawrence Halprin’s fountain sequence was thoughtfully restored in 2012. So, has Portland come to appreciate its architectural heritage from the recent past? While these three examples offer a glimpse of optimism towards the maintenance and rehabilitation of architecture from the recent past, there is still an uphill battle towards the preservation and rehabilitation of Post Modern, Modern, and historic architectural resources. This is not an argument to save every resource, but it’s our responsibility to our present and future communities to have places rich in architectural resources from different movements of history- architecture rich in diversity. For architectural diversity contributes to our place making, culture, and identity. Let’s Keep Portland Architecture Weird by both adding to and maintaining and rehabilitating. California modernism has long been generally associated with architecture & design from Southern California. 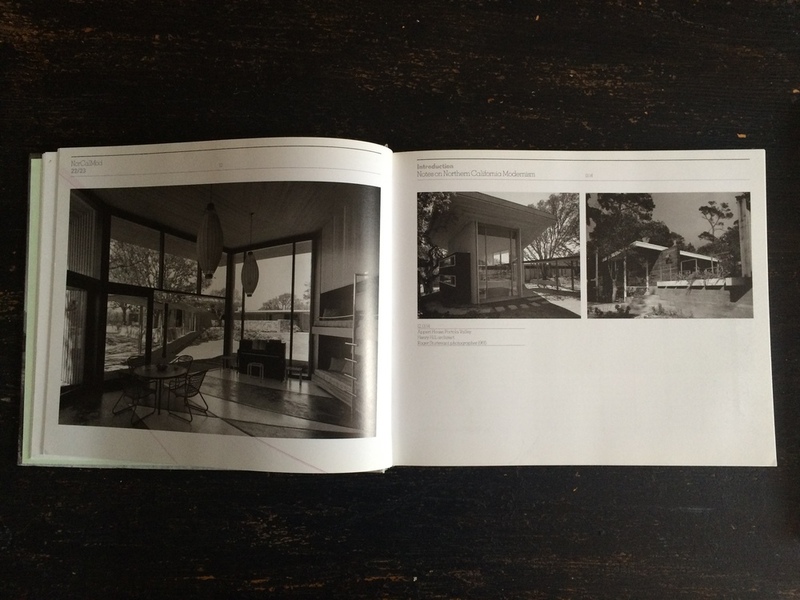 However, Northern California has a vital architectural history that contributes to California modernism. Pierluigi Serraino successfully demonstrates this in: NorCalMod. Icons of Northern California Modernism. The author rediscovers the complexity and richness of Northern California modernism that for many in the Bay Area and surrounding communities is hidden in plain sight. In my recent travels, I was introduced to one of the best collections of refurbished mid-century modern furniture. Reeves Antiques in Houston, TX. While the shop has a robust inventory of mid-century furniture, naturally I was drawn to the chairs (obsessions!) Additionally, the majority of the upholstered pieces had been refurbished in house, with fabrics as close to the originals as possible. From the wood, acrylic, or metal framed to purely upholstered pink velvet barrel back chairs, it was hard not to try and lounge in or purchase them all. Mid-century lighting design is equally as fantastic as furniture design from the same era. It expresses a bold geometric form thru simplistic line- with circular shapes dominating its shades and other bulb coverings. From floor to pendant residential lighting, mid-century lighting is still contemporary today. A few of my favorite inspirations include: brass sputnik pendant light; gorgeous Italian Lumi ceiling lamp with enamel details; French Lightolier sputnik inspired pendants; Serge Mouille minimal floor lamp; and the retro Angelo Leli floor lamp. From pendant to ceiling to floor-lightening from the mid-century is as illuminating as ever. Ocean Park 79. Richard Diebenkorn. Ocean Park 105. Richard Diebenkorn. Ocean Park 43. Richard Diebenkorn. Ocean Park 24 detail. Richard Diebenkorn. Springtime has arrived, with a tease of summer weather. All I want to do is lounge outside with a cold beverage-in-hand with books (or magazines) galore. Mid-Century modern outdoor furniture has seen a surge in reproductions or like-minded designs from popular furniture design stores and pop-ups. And there is reason for it- timeless design aesthetic with simple and effortless looking lines that complement lounging. I am also partial to power-coated steel and wood outdoor furniture. These materials couple well with bold textile accents. Also, the true vintage ones have beautiful aqua, pinks, and orange colors that offer the perfect pop of color to an outdoor backdrop. Now get outside. Portland, and Oregon on the whole, has a substantial presence of Post-World War II architecture. One of the more prominent mid-century works is the Veterans Memorial Coliseum. Portland is also home for a post-modern work of architecture, Michael Grave’s designed Portland Public Service Building. Locally, several mid-century modern, and especially post-modern, works of architecture are not held in high esteem from the design community through City leadership. Yet, the City has approved locally designed mix-use developments that directly reference mid-century and post-modern design aesthetics. When these new developments enter their middle age, will they too be called obsolete, tacky, and ugly? Deborah Sussman / She loves L.A.
Graphic design is a communication tool that plays an important role in architectural design. At its most fundamental level, graphic design visually communicates information with typography, color, and form. It also, and perhaps more importantly, influences our interaction with and the identity of place and space. From way-finding signage, supergraphics, branding, material and texture, to motion-graphics, graphic design helps integrate word and content with architecture. Graphic design is used to visually communicate and reinforce the sense of identity for architectural projects – including both new design, renovation, and planning projects. From logo design, visitor orientation and infographics, graphic design is an integral part to the sense of place. It affects the overall experience with the visitor, public, or inhabitant. It is also dependent on the architectural design. Think of the range of materials and its finishes used through-out a building. Graphic design must be intentional, otherwise chaos results in color, type, and form within the design struggling against the architectural design, materials and texture. Click the arrows above to view personal favorites of mid-century modern graphic design for architecture. With Halloween upon us, it's time to showcase five stunning works of architecture with modern black façades. These building envelopes are far from ordinary, some worthy of a scream! 1. 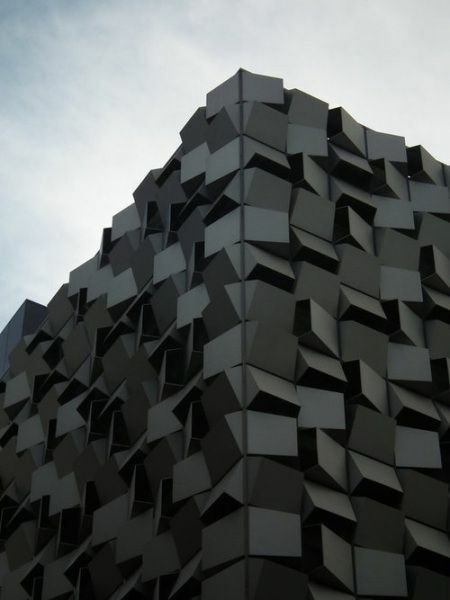 A building envelope with monochromatic cladding. 2. Glowing glass home with black cladding. A modern take on a cabin in the woods. 3. Historic goes modern in a Rotterdam reconstruction by Studio Rolf.fr 4. Black wooden louvers for a single residential design in Japan. 5. A stacked module house with a perforated façade in the shape of a tree. BOOOOOOOOOOO! Portland’s Veterans Memorial Coliseum, designed by Skidmore, Owings & Merrill (SOM) and built between 1960 and 1961 is a premier jewel of International Style modernism in the city. The structure consists of glass and aluminum, with a non-load-bearing curtain wall cube, and a central ovular concrete seating area within. It is a true engineering and architectural masterpiece that offers uninterrupted panoramic views of Portland from the seating area. The Veterans Memorial Coliseum is also a war memorial, with exterior sunken black granite walls inscribed with the names of veterans in gold paint. At its completion it was the largest multipurpose facility in the Pacific Northwest. And a significant structure within the larger urban planning Rose Quarter Development project. In 2009 is was proposed to demolish the Coliseum to make way for a new sports facility. The city was almost successful in demolition, but the greater community of Portland, including architectural preservationists and historians, successfully applied for National Register of Historic Places status for the building. In 2011 it was placed in National Register. 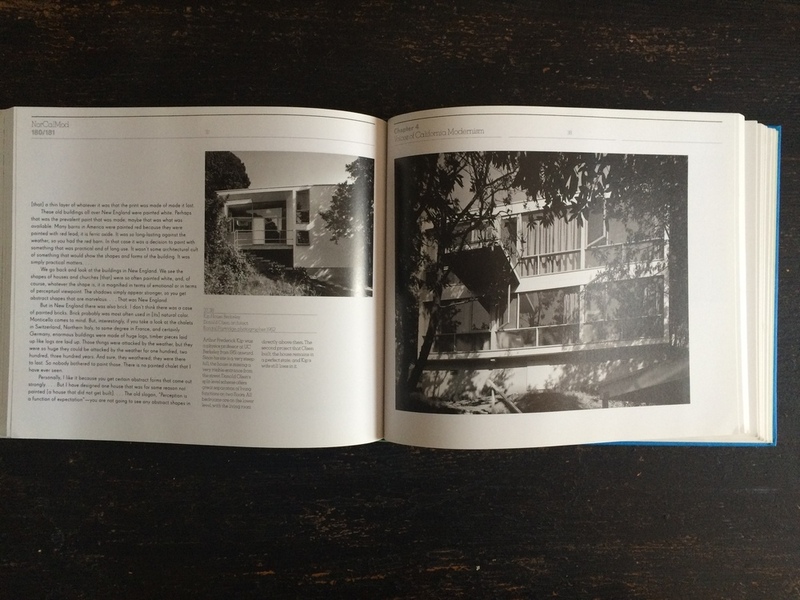 Pietro Belluschi designed elegant modern residential (and commercial) architecture in the International Style. His materials used for residential designs were especially suited for the Pacific Northwest climate. Portland has a large concentration of Belluschi residences. They are functional, design-driven, and to this day contemporary in their timelessness. Brass Sconces by Gio Ponti "IL DIAVOLO"
Not only masters of celebrating food and wine, Italians are forerunners in the world of design. I will be jetting off to Italy in the coming week, and I thought it would be fitting to have a Modern Monday that focuses on Italian furniture design. Clearly, I am a sucker for chairs, and this post features an adorable RIMA burnt coral armchair with an all metal frame. Perfect as a dinning chair with the Mario Bellini for Cassina table. I enjoy the monumental stature of the table mixed with the curvy lines of the RIMA armchair. Always on the hunt for lighting, the vintage Murano Chandelier by Cenedese is an elegant tubular delight. Prefer more whimsy in your home? Brass scones, “Il Diavolo” by Gio Ponti are essential. And, a space can never go wrong with modern brass and glass accessories. Finally, a vintage metal desk (but could be used as a side table) adds a bit of masculine mid-mod pop. The dark wood and metal legs are timeless in their modernity. Ciao a tutti! Rolf Middelboe, textile design Spectrum, 1950-55. Like in design, I am a lover of bold geometric art. I especially enjoy artists from the mid-century modern era, for what they were creating then is still contemporary today. Whether arranged as an hypnotizing geometric abstraction, op art, or thru mixed-medium hue matching and text, these artists works celebrate the power of color. Enjoy! Often overlooked, but not forgotten, is the German-born designer and close collaborator to Mies van der Rohe, Lilly Reich. She began her career by designing furniture and clothing, along with shop window display designs. In 1912, Lilly joined the Deutscher Werkbund, and in 1920 she became the organizations first female director. Through their shared involvement with the Deutscher Werkbund, Mies and Lilly became close design collaborators for several Deutscher Werkbund exhibitions. Throughout the 1920s & 1930s they collaborated on several projects, including furniture pieces often solely attributed to Mies. Ezra Stoller is by far one of the most prolific photographers of mid-century modern architecture. His images capture the sheer magnitude of Modernism, while also celebrating the industry behind this influential era of our architectural legacy. 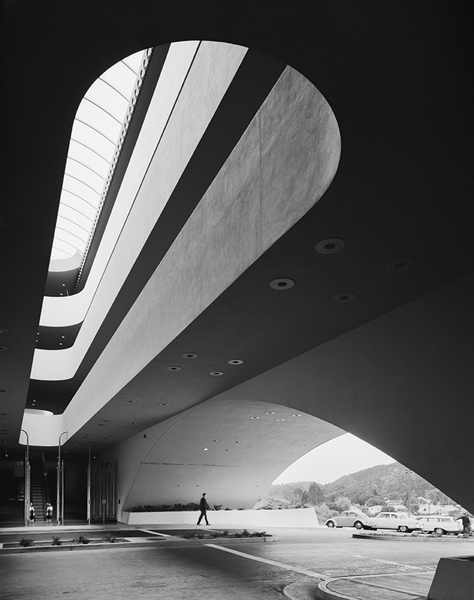 These intoxicating black and white photographs have helped define the culture behind (or cultural memory) of such iconic structures as the Seagram Building, Marin County Civic Center, and the Salk Institute. The photos included for this Modern Monday post are some of my personal favorite Stoller photographs.